Caption slip reads: "Photographer: McCarty. Date: 1952-08-03. Reporter: Massard. Assigment: Flying Saucers Hairdo. 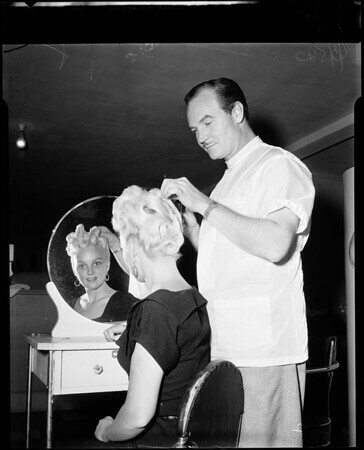 13-14: Mrs. Beverly Paulsen & her "Flying Saucers" hairdo created by Louis Newberry".